Join us every Wednesday or Thursday evening for Group Dance Classes in Bedfordview. You're welcome to begin at anytime and don't need a partner. All ages welcome and no contracts! 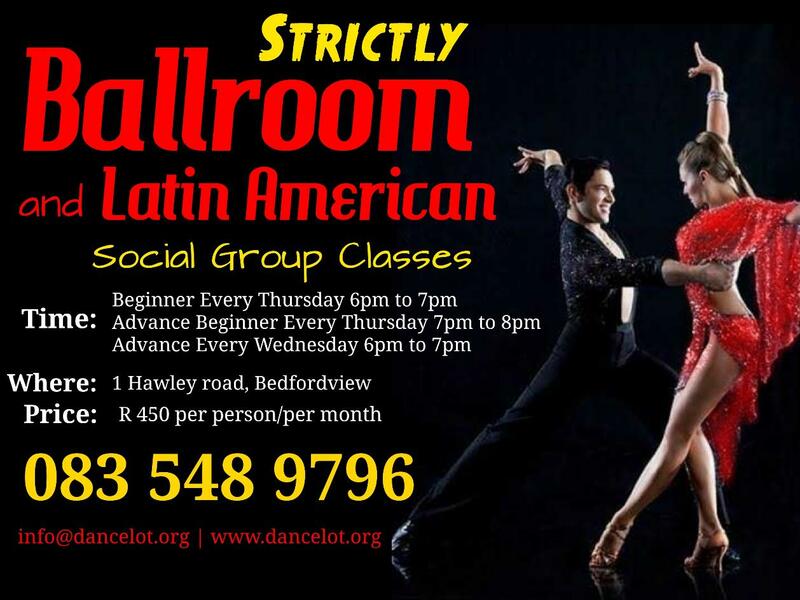 Strictly Ballroom and Latin American dance classes - in this class you will learn the basics in the most popular Ballroom and Latin American dances; Jive, Foxtrot, Boogie, Waltz, Cha Cha Cha and much more. We include a little bit of Line Dancing.These group classes really are the best way to get some good exercise, meet new friends and get fit, all while having loads of fun! T&C’s - The Group Class works in a four-week cycle. Your cycle commences after payment/date. Group class lessons are not transferable. Lessons missed can be made up if you are an active student. Non-active students are not entitled to catch up lessons.